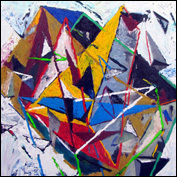 Roger Lane, in partnership with the Art2Muse Gallery, will be exhibiting at Art Melbourne which takes place at the Royal Exhibition Building (Carlton, Vic) from 24-27 May 2012. New exhibition - Weathered - is a series of artworks developed by Susan Buret and Nicola Moss during a collaborative residency at Montsalvat in 2011. The exhibition at Tweed River Art Gallery (Murwillumbah, NSW. Ph: 02 6670 2790), was officially opened by Carl Warner on Friday 11 May, and continues to 24 June. There was an artist demonstration on Sunday 13 May, when Susan and Nicola made a collaborative artwork in response to weather conditions of the day. 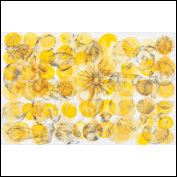 Racheal Brühn now has a presence on the gallery wall, as well as the storeroom at Retrospect NSW (52 Jonson St, Byron Bay, NSW) with these watercolour and graphite drawings from a series of 30 yellow/black images. One of these drawings was selected as a finalist in the Brunswick Street Gallery drawing prize in March 2012. She is working on another 30 full colour drawings to follow in this suite, hoping to get a show of these towards the end of this year. 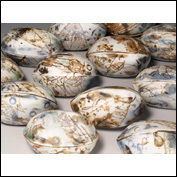 Ceramist and jeweller Ann O’Connor will have a one woman show - Vessels of Change - at Art on Cairncross Gallery (Maleny, Qld) which opens on 2 June (2pm) and runs to 17 June. The show will feature ceramic sculptures highlighting migration to Australia from the Aborigines onwards, and the contributions new arrivals have made to our culture. Elisabeth Lawrence will be part of - Our House - Celebrating the place we call home - exhibition at the Pine Rivers Art Gallery, (199 Gympie Rd. Entry and parking off Mecklem Street, Ph: 3480 6941). The official opening is Friday 1 June (6 pm) and continues until 7 July. 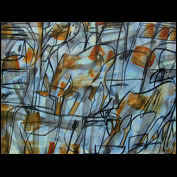 Kathryn Brimblecombe-Fox's latest exhibition - Quiver - will be at Graydon Gallery (29 Merthyr Rd, New Farm, Brisbane, Qld. Ph: 07 32542325) from 17 - 29 April with the opening on Wednesday 18 April (6-8pm). Quiver is an exhibition of new paintings inspired by concepts of Mother Nature. There will also be an Afternoon Tea, drinks and artist's talk on Saturday 21 April (3—5pm). 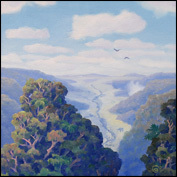 Dave Groom's latest exhibition of pastels and paintings - Mountains and Mist - is now on at Marks and Gardner Gallery (69 Main Western Rd, North Tamborine, Qld. Ph: 0755454992) until 22 April. 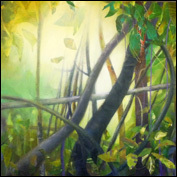 Jennifer Long has recently updated her website with a new painting - Transformation - which was exhibited in the Cossag exhibition (Cycle of Life: A Window Opens) at St. Stephen's Cathedral in March. Nadia Kliendanze has a new exhibition - Handprints - at Inverell Art Gallery (Evans St, Inverell, NSW) which pushes the boundaries of printmaking. 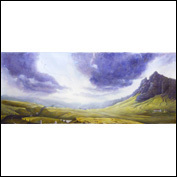 The show opens on Friday 20 April (6.30pm) and runs to 18 May. Robert Moore's has a new exhibition of paintings opening at Heiser Gallery in Brisbane (90 Arthur Street, Fortitude Valley) on the 6th of March 2012. There will be opening celebrations on the evening of Friday the 9th of March. Rick Matear is having an exhibition of his paintings of the Geelong beach at Metropolis Gallery (64 Ryrie Street, Geelong, Victoria. Ph: 03 5221 6505) on 17 March. Megan Jones' latest solo exhibition - Speleology in the cave of Mnemosyne - opens on 22 March (6pm) at Gaffa Gallery (281 Clarence Street, Sydney CBD. Ph: (02) 9283 4273) and continues until 3 April. This exhibition deals with memory, which is at the core of our notion of ourselves as a continuing identity, and is conceptualised as a self portrait, with groups of personal memory paintings focussing on the affective aspects and associative operations of memory. 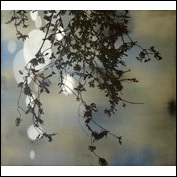 Ross Booker is taking part in the group exhibition - The Full Spectrum at Retrospect NSW (52 Jonson St, Byron Bay, NSW). 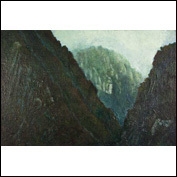 The show opens Friday 2 March (6.00pm) and continues until 23 March 2012. 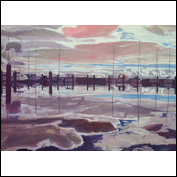 The show explores how artists use colour in their work and includes Fiona Kennedy-Altoft and John Cottrell. 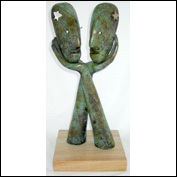 Di West is exhibiting Bronze Sculptures in a new show along with Sydney painter Conchita Carambano at Art Nuvo Gallery (25 Gloucester Rd, Buderim, Qld. Ph: 07 5426 2445) which opens Friday 2 March until 24 March. Di West was also selected for inclusion in the Stanthorpe Arts Festival which runs to 9 April at Stanthorpe Regional Art Gallery (Lock St, Stanthorpe, Qld). Andy Harwood is exhibiting his latest solo show - Travelling Perspective - at Love Love Studio (27 Florence St, Teneriffe, Brisbane, Qld) opening on Saturday 3 March 3 (6pm) and continues until 18 March. Doggett Street Studio's group exhibition for Summer (85 Doggett St, Newstead, Qld. A.J. 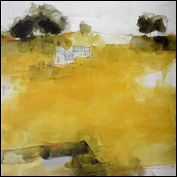 Taylor’s new solo exhibition “Mapleton” opens at Martin Browne Contemporary on Thursday 2 February 2012. 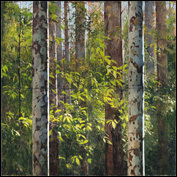 "Mapleton" is a series of more-or-less life-size paintings of a group of trees in the Mapleton Forest Reserve on the Blackall Range in the Sunshine Coast Hinterland. The exhibition runs until 26 February 2012. Kathryn Brimblecombe-Fox is exhibiting the thirty original paintings inside her new book - For Everyone: Words and Paintings - at FireWorks Gallery (52A Doggett St, Newstead, Brisbane) from 22-25 February. The book will also be officially launched there on Thursday 23 February (6-8.30pm) by Scott Emerson MP, Queensland Shadow Minister for the Arts and Member for Indooroopilly. 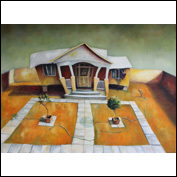 Trisha Lambi has been selected to exhibit at the Parallax Art Fair 2012 (Chel­sea, London) which runs from 16-18 February. Parallax Art Fair grew out of an international exhibition called “Parallax”, conceived and cu­rated by the art historian and theorist Dr Chris Barlow. 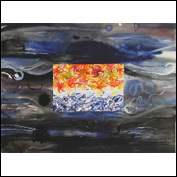 Trisha will be exhibiting three pieces - Emancipation, And Just a Dash of Arsenic and Along Came a Spider. 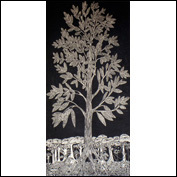 Kym Barrett, is collaborating with Victoria Fitzpatrick, on a new show - Of Trees and Ordinary Things - at Noosa Regional Gallery (Tewantin, Qld. Ph: 07 5449 5340) which runs from 3 February to 18 March with the opening night on Thursday, 2 February (6pm). You can see more of Kym's recent work at Carrington's Gallery (Noosa Junction, Qld) until 6 March, and Studio4 Gallery (Marcoola, Qld) until 5 February. The Gold Coast University Hospital has recently purchased two of Rachael Lee's works - Proteagon and Fragments of a Conversation - for their collection. 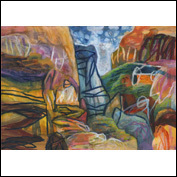 These works are from the new Embedded Language series to be exhibited in Rachael's solo show - Evolving Landscapes - Life seeks order - at the Logan Art Gallery in 2013. Rachael has started a Facebook Page to document the lead up to this show. 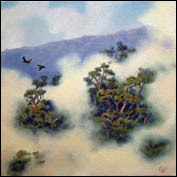 Joyce Blanche’s painting - My Country - has been selected for exhibition at the Stanthorpe Regional Art Gallery. 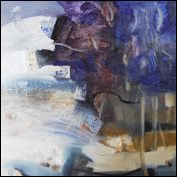 Adrian Hunter and Sue Hunter have also been selected as finalists in the exhibition. 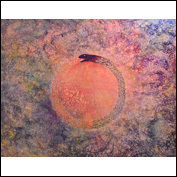 The Gala Opening - Night for the Stanthorpe Art Festival 2012 will be held on 24 February 2012. 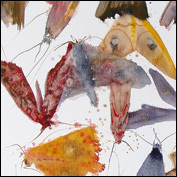 Allyson Reynolds's latest exhibition - moth song - opens at Rebecca Hossack Gallery London in January. While the official opening is not until 26 January (after the London Art Far), the exhibition will be hung and open to the public from 10 January. Nicola Moss' next solo exhibition - Wonderland - features paintings inspired by experiences at Montsalvat Artist Colony during her artist in residence in October. The show opens on Monday 26 December at Salt Contemporary Art (33 Hesse Street, Queenscliff, Victoria. Ph: 03 5258 3988) and continues until 7th January. 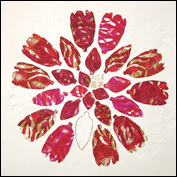 Nicola also has three new hand cut paperworks on show at SGAR: Spiro Grace Art Rooms (255 Gregory Terrace, Spring Hill. Ph: 07 3839 8925) until 17 December. 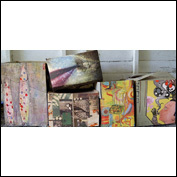 Peta Lloyd is part of a group of Capricorn Coast and Brisbane based artists presenting an eclectic mix of works - Uncharted Depths - including photography, collage, assemblage, paintings, artists books and boxes, at The Circle Gallery (Upstairs, 274 Montague Road, West End, Qld) opening Friday 9 December (6pm) and running to 14 December. 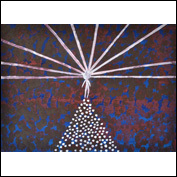 Jennifer Long's latest painting - Advent Journey (Day and Night) - is currently being show in the Visionaries Exhibition of 18 artists - Journey through Advent to Christmas - at the Brookfield Centre of Spirituality (139 Brookfield Road, Kenmore Hills, Qld. Ph: 07 3878 3348) and runs to 23 December. Lesa Hepburn has a pop up shop for December & January at Valori Espresso Lounge & Art Gallery (71c Landsborough Ave, Scarborough, Qld). 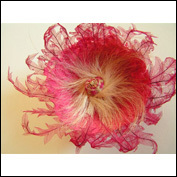 You can find designs handmade by Lesa created from plant fibres & waste materials found in Queensland. Margaret Genever, Laurel McKenzie and Sasi Victoire are part of the group exhibition - Impress: Body to Body which opens at Cairns Regional Gallery (Cnr Abbott and Shields Streets, Cairns, Qld) on 9 December and continues to 5 February 2012. 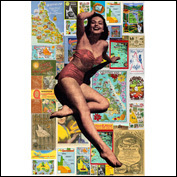 The collection of original prints by members of Inkmasters Cairns Inc. address the theme of living in tropical north Queensland. 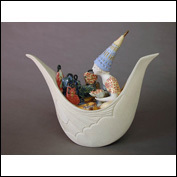 Mollie Bosworth is part of the group exhibition - The Narrative Knot - stories in ceramics - brought to you by the Australian Ceramics Association at the Manly Art Gallery & Musem (West Esplanade Reserve, Manly, NSW) which is on now until 22 January 2012.